Victorian Shaving Mug in pinks and greens. 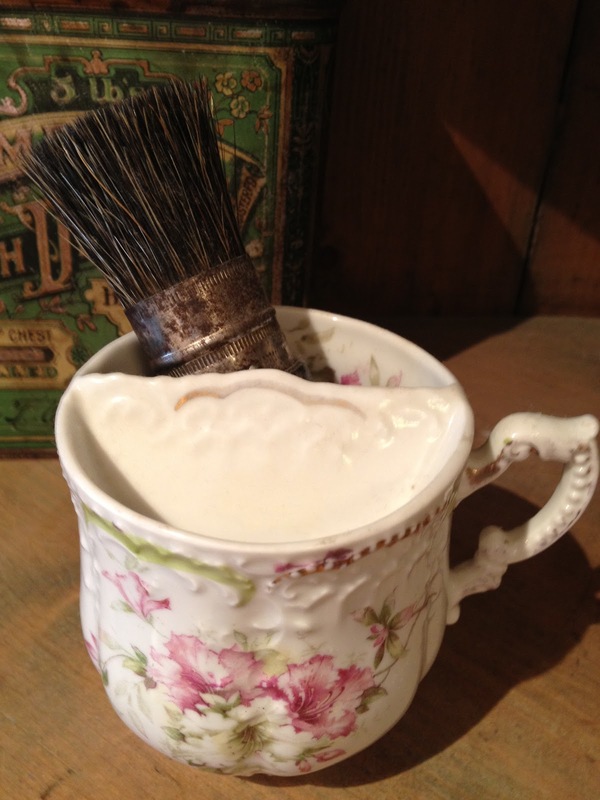 Shaving mugs were used by men in Victorian times as part of their shaving ritual. A shaving brush similar to the one in this photo was used to apply soapy lather to the face. There was usually a divider with one side having a narrow ledge with holes. The soapy lather (a mixture of soap and water) would be brushed off where the holes were so that excess water would drain back into the mug. Most shaving mugs are flowery and look more like they were meant for women but they were not.